It is our greatest pleasure to welcome you to the 32nd International Symposium on Shock Waves (ISSW32), which will be held in Singapore on 14 – 19 July 2019. ISSW32 is a continuation in the series of biannual international symposia that have been held throughout the world since 1957 on shock wave phenomena and applications. This will be the first time the symposium is held in Southeast Asia. All scientific programs will be conducted on the National University Singapore (NUS) Campus. Similar to previous symposia, ISSW32 will cover analytical, experimental and numerical studies, both basic and applied, of shock wave and blast wave related phenomena. Shock waves are fascinating phenomena which may be generated in various media, such as gases, liquids, and solids, and are often accompanied by interesting yet complicated interactions. In addition to scientific lectures and sessions, ISSW32 will feature cultural activities and an Asian-style banquet dinner to foster and strengthen the close friendship amongst members of the international shock wave community. We look forward to welcoming you at the symposium. The National University of Singapore (NUS), Singapore’s flagship university, is a leading global university centered in Asia. NUS offers a global approach to education and research, with a focus on Asian perspectives and expertise. NUS is a comprehensive university with 17 schools spread across three campuses in Singapore. Its transformative education includes a broad-based curriculum underscored by multi-disciplinary courses and cross-faculty enrichment. To enhance the transformative educational experience that will prepare NUS graduates for a fast changing, globalizing world, NUS offers a myriad of programmes such as student exchange, entrepreneurial internships at NUS Overseas Colleges, and double degree and joint degree programmes with some of the world’s top universities. The learning experience is further complemented by a vibrant residential life with avenues for artistic, cultural and sporting pursuits. There are approximately 39,000 students from 100 countries who further enrich the community with their diverse social and cultural perspectives. In the Quacquarelli Symonds (QS) World University Rankings 2019, NUS has been ranked 11th in the world. The Times Higher Education World University Rankings 2018 places NUS at 22nd in the world and 1st in Asia. NUS has three Research Centers of Excellence (RCE) and 22 university-level research institutes and centers. 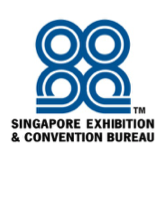 It is also a partner in Singapore’s 5th RCE. NUS shares a close affiliation with 16 national-level research institutes and centers. Research activities are strategic and robust, and NUS is well-known for its research strengths in engineering, life sciences and biomedicine, social sciences and natural sciences. It also strives to create a supportive and innovative environment to promote creative enterprise within its community. NUS also houses the Singapore National Wind Tunnel Facility (SWIFT), a trisonic wind tunnel facility which is capable of achieving flow speeds of Mach 4. NUS Temasek Laboratories (TL) is a research institute within NUS which conducts fundamental research, with potential downstream applications, on selected areas of Singapore’s defence science and technology. The Centre for High Speed Aerodynamics is one of the main research groups at NUS TL. The main mission of this group is to investigate fundamental aerothermodynamics of high speed flows, and to develop several key enabling technologies for the use of detonation combustion for a range of aerospace applications.